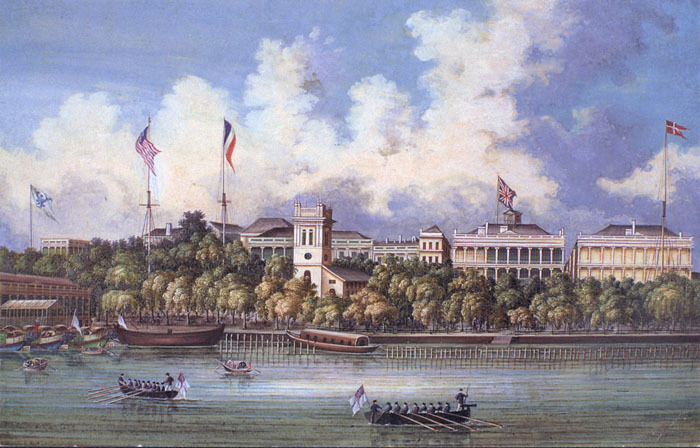 Austrian, American, French, and British and Danish flags fly in front ot the Hongs (merchant's compounds or building complexes) in Canton. On the river two Royal Navy barges row. Watercolor port painting of Canton.